I love Russian River Zin! *Disclaimer: I received this wine as a sample from J. Keverson Winery. 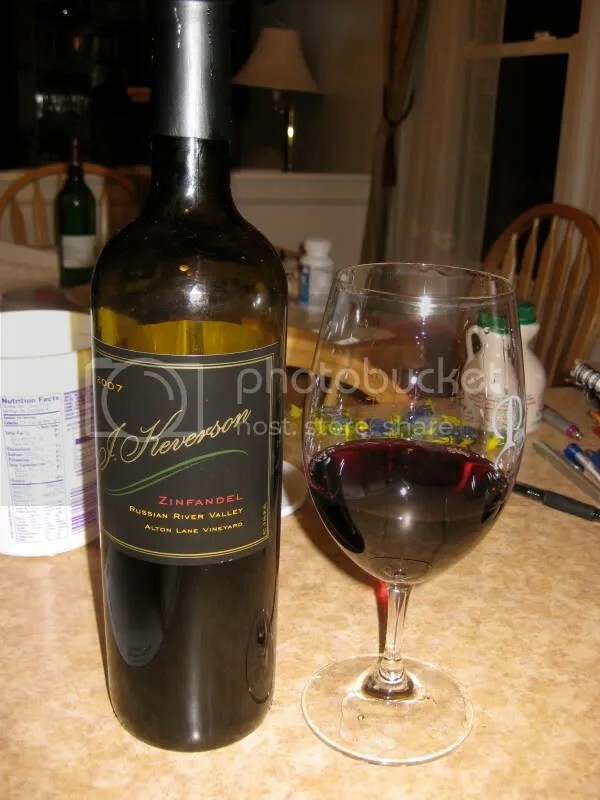 Now, don’t get me wrong, I adore adore adore Dry Creek Valley Zinfandel, it is after all my first love, but more and more I’m loving the Zins I get from the Russian River Valley. I love DCV Zins for the punch in the face, the big blackberries, the jam, etc. Russian River Valley Zins are, in my experience, just a bit more on the juicy side, with spices, and tarter fruits, a different style if you will. 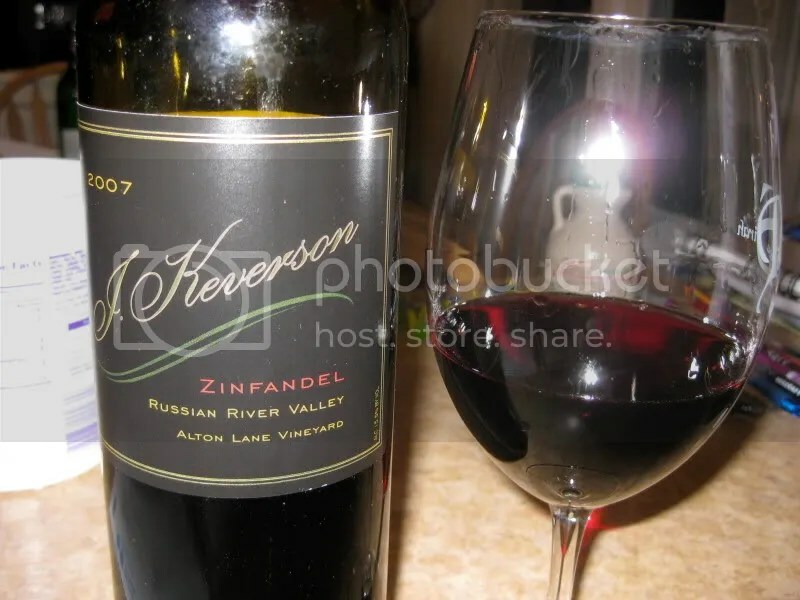 Tonight I chose the 2007 J. Keverson Russian River Valley Alton Lane Vineyard Zinfandel. It had real cork closure, clocked in at 15.5% alcohol by volume, and retails for $35. On the nose I found spice, anise, cinnamon, blackberry, pepper, black currants, and cedar. The nose displayed tons of spice, like I dipped my nose into the spice rack. In the mouth I found blackberry, black currants, spice, cinnamon, pepper, tart fruit, and a peppery kick at the finish. Without looking at the label, I never would have guessed the wine was 15.5% alcohol by volume. This had it all going on with structure and acidity and very well integrated alcohol content. If I’ve been a good girl, maybe Santa will bring me some for Christmas. I’m a little surprised that a(n) RRV Zin would “clock in” at 15.5%. Would think the cooler climate influences there would result in slightly less-ripe fruit. Guess it depends on where the vines are oriented. Great review. How do I get a sample to review 😉 No really, thanks for your consistent information. I’ve been waiting for you to review this one… This was my favorite from J Keverson. Did you try their Old Vine ZIn? I thought so too Joe, but honestly, it really worked well and I didn’t find the flavors to be anywhere close to over-ripe. Thanks Josh! Persistence, I think! Randy, I did, on 9.21. I think I liked this one best though!